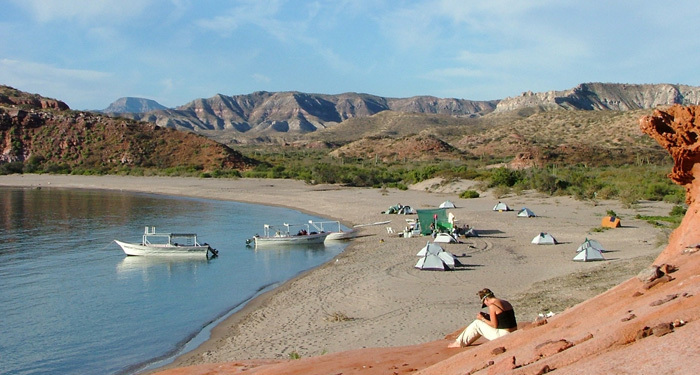 Holiday River Expeditions offers four different tours in sunny Baja, California. The whale watching and sea kayaking tour highlights the beautiful marine park in the Sea of Cortez off the coast of Loreto. This area boasts warm waters and showcases the Pacific Grey Whales as they arrive to give birth. Witnessing these aquatic mammals give birth is a once in a lifetime experience. 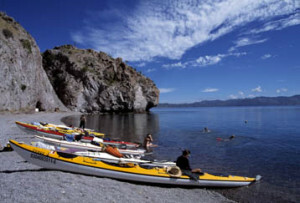 Snorkeling and sea kayaking around the Sea of Cortez is a central part of this 10-day trip. Children six-years-old and up are permitted on this fun-filled excursion, making it a perfect family adventure destination. 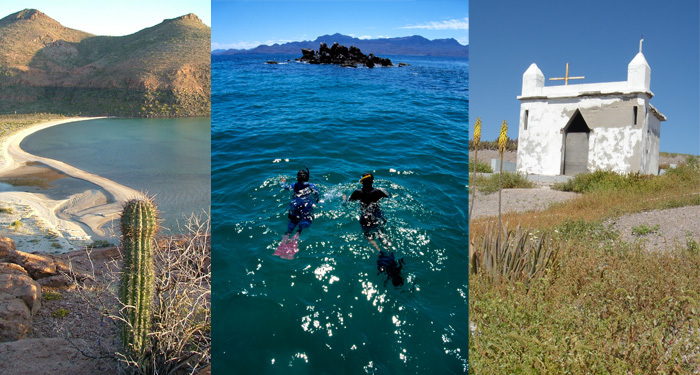 Meeting in La Paz, Baja this excursion is available during select times in January and February. Island Hopping: The Sea of Cortez is littered with small deserted islands. These uninhabited areas contain abundant marine life, making this kayaking and snorkel expedition an unforgettable experience. Available select dates in March through April, this nine-day trip accommodates people of all ages, including children eight-years-old and up. Meeting in La Paz, Baja to Loreto, this unique adventure highlights the beauty of these warm waters, and the expert guides help make this experience unforgettable. Espiritu Santo Island offers the perfect adventure for sea kayakers of all skill levels. Espiritu Santo Island is located in Baja in the warm waters of the Sea of Cortez and the protected Gulf of California. The abundant marine and avian life that inhabits this area makes it a viewing sanctuary for guests, who will learn from experienced guides the different native species. Camping along the inviting white sandy beaches, mixed with the canyons and boulders that help make the landscape on this island unique, this trip is a haven for outdoor enthusiasts. Available select dates in January, March and April, this trip also accommodates children eight-years-old and up. The group begins their adventure in La Paz, Baja. The Baja Coast is one of the best escapes for the avid sea kayaker looking to refine his/her skills on an adventure-filled excursion. This section of the Baja Coast is remote and uninhabited, making it a perfect vacation destination. The unique beauty of the area combined with abundant marine and avian wildlife, makes this a haven for outdoor enthusiasts. The waters average 80 degrees Fahrenheit, making the conditions ideal for kayaking or snorkeling. If planning a trip in the spring, guests may have the opportunity to witness whales migrating to birthing grounds. This tour is considered more advanced and is only available to ages 16-years-old and up. Meeting in Loreto to La Paz, California this vacation is nine days in length, making it the perfect excursion for complete relaxation. All Baja trips include a variety of gear and additional gear can be rented. Expert guides prepare local, fresh meals. 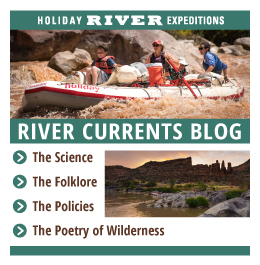 Holiday River Expeditions also other excursions on the West Coast, including Colorado River rafting, Grand Canyon whitewater rafting, Utah and Idaho tours.